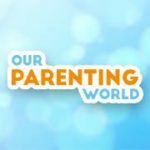 quaint little things (QLT), Mobi and Ultimo Toys Giveaway! 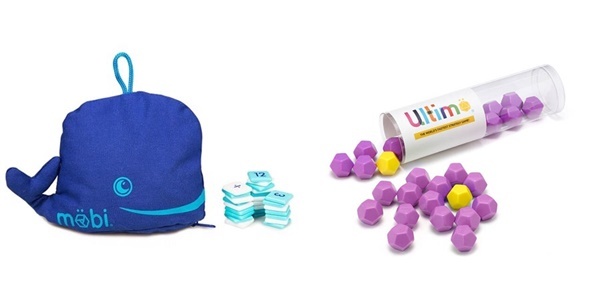 You are at:Home»GIVEAWAY/TREATS»quaint little things (QLT), Mobi and Ultimo Toys Giveaway! 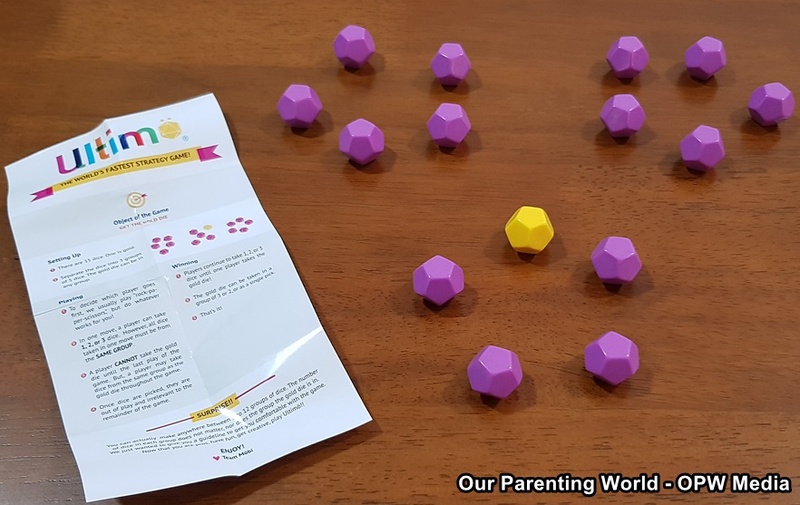 If you are looking for fun, interesting games and toys for your little ones, quaint little things (QLT) is an online toyshop based in Singapore, They are all about finding new and exciting ways to help your little ones learn and develop through play. Nowadays most kids are on their electronic devices, QLT want to change all of that by building learning and development into playtime, helping children to develop math skills, creativity, self-confidence, motor and cognitive skills. At QLT, they have a whole host of games that children and even adults can learn and play together making it great for bonding time! Ultimö is the ultimate strategy game aka World’s fastest strategy game. It may look easy but it can be challenging in a fun way. The goal of the game is to get the gold dice and it has to be the last dice left to get. This game is so convenient to carry around, comes in the form of a tube and consists of 15 dice. Divide the 15 dice into clusters of five, when it is your turn, take one, two, or three dice from the same cluster. Towards the end of the game, if it is your turn and you will win if the gold dice is the only one left. You will need to plan and strategise when playing the game to stay ahead of your opponent to be the last one to get the gold dice. Put on your thinking cap, figure out and play the game to find out what’s the best way to win! It is simple and straightforward to play and can be really addictive once you start on the game. Expect lots of laughter, a fun game to play together with the whole family! 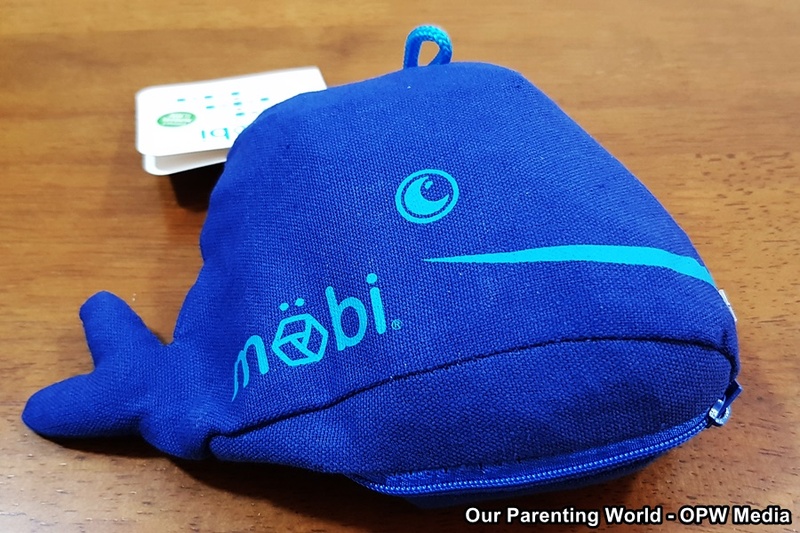 This is such an adorable pouch in the form of a smiley blue whale consisting of math tiles and an activity booklet with mini-games complete with step by step instructions. Möbi is compact and easy to carry around whenever you want to play the game. Children can make simple math equations with 162 different math tiles consisting of numbers and adding, subtracting, multiplying and dividing symbols. Do it as quickly as possible and connect them in crossword style grids, be the first to connect all the tiles to win this game. 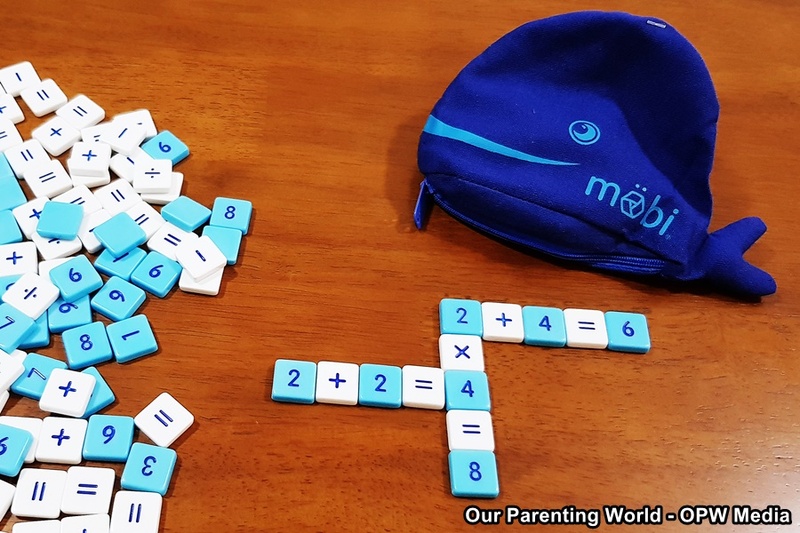 This game is great to engage the whole family to play together and through this game, Möbi helps build and improve skills in arithmetic, cooperative play, visual processing, sequential thought, focus & attention, recognition & identification, hand-eye coordination, and fine motor skills in children. A highly entertaining, educational and exciting game for everyone! Want to play? quaint little things is offering discounts to our readers, simply quote the codes when you purchase the toys online. Here’s the promo code and special price for each product. Promo ends on 30th April 2019. Thanks to quaint little things, we are giving away 1 set of Mobi at $34.90 and 1 set of Ultimo $29.90 to 2 Lucky Readers. Ist Winner will receive 1 set of Mobi and the 2nd Winner will receive 1 set of Ultimo. The toys will be delivered directly to the winners. Hurry, giveaway will close on 31 April at 23:59Hr. Winners will be announced in Instagram giveaway thread and provide details via DM for the organisers to send the toys to you.